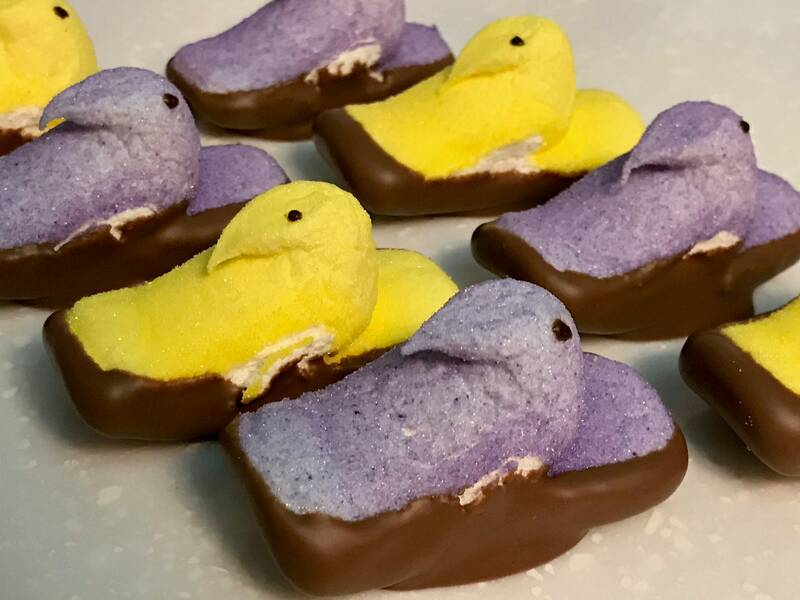 Peeps are an Easter favourite! 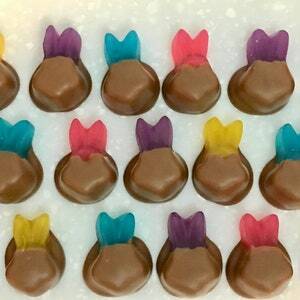 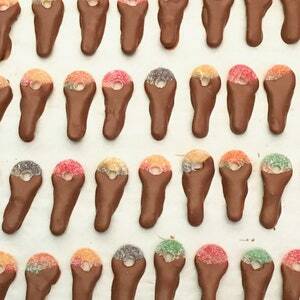 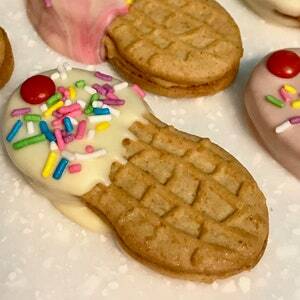 Once dipped in a Belgium Milk Chocolate they are now an Easter delicacy! 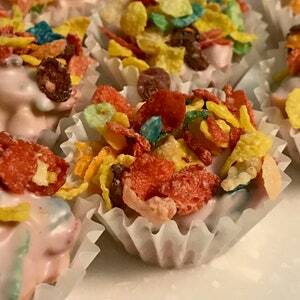 You won't want to miss trying these! 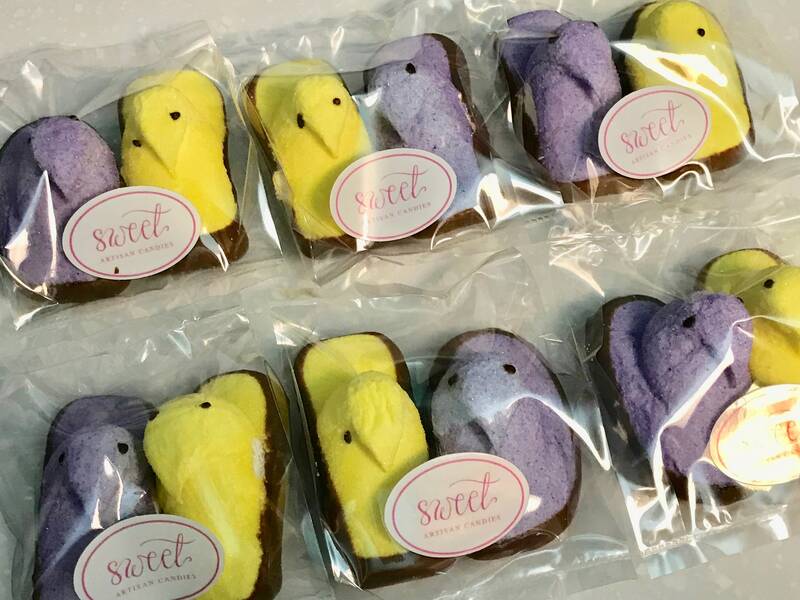 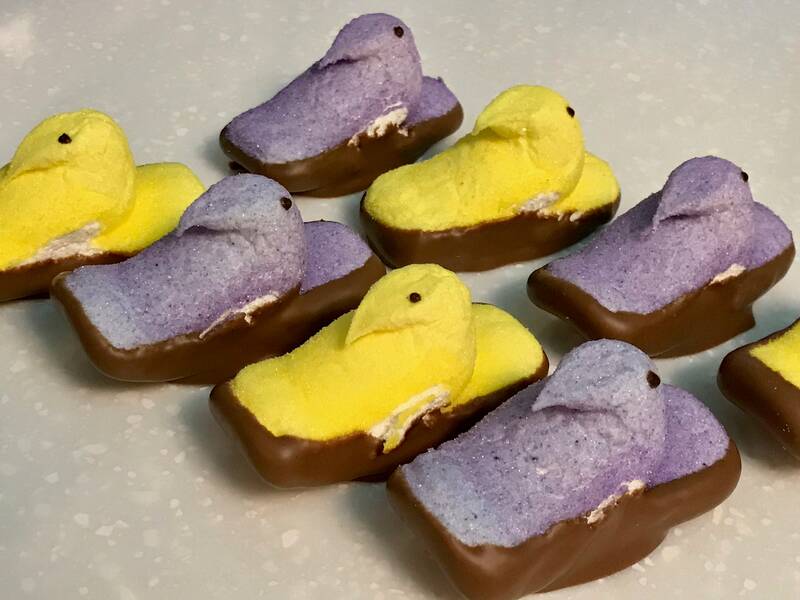 You get 2 Peeps/pack - 1 yellow and 1 purple.